The Dark Ranger: The Russian Is Coming! A little luck and The Rangers pick a young superstar. So tonight we were treated to the NHL entry draft -- straight from beautiful Columbus, OH - home of the Blue Jackets and shamed-former-fired Flyers coached Ken Hitchcock. With the New York Rangers in a paltry 17th pick in the first round, we got our hands on GM Glen Sather's first pick of all of the first-rounders, Alexei Cherepanov - controversial and straight from the Russian hockey league -- home of Alexander Ovechkin and Evgeni Malken. It may be a year before he skates as a Ranger at MSG, as he's promised his Communist home team at least another year - also made difficult with the ongoing negotiations between the Russians and the NHL. His agent is reassuring the press that he'll be here sooner. Don't know much about this 18-year old kid, the upside is a world-class talent surpassing more recent trades from Russia, someone who will fit into the European-friendly Ranger lockerroom; the downside is he has a crappy work ethic -- another lazy one, being referred to as 'brilliant but aloof." Nothing worse than a kid who doesn't honor the game - a punk! But...Sather had taken four separate trips scouting Cherepanov personally. As a developing prospect, this could lead to a wonder kid for the Blueshirts. 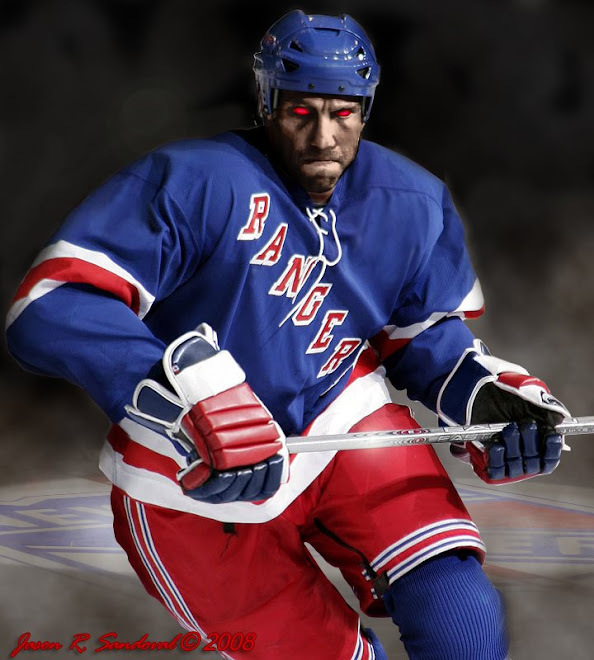 The Dark Ranger was told that Cherepanov was the New York Rangers' first pick and vice versa. The risk is minimal providing the Russians let him play for New York. In other trade news, last year's #1 pick and this year's #8 pick- Eposito - is now a Pittsburgh Penguin - giving Pittsburgh one of the youngest and dangerous roster of developing and world-class forwards in the entire league. The Dark Ranger fears that Pittsburgh will an enormous team this and many seasons to come. Free agent bonanza approaching in one week. Wait. July 1. I also hear Sather left a $12-million, 3-year contract offer for Nylander -- take it or leave it. Woh. 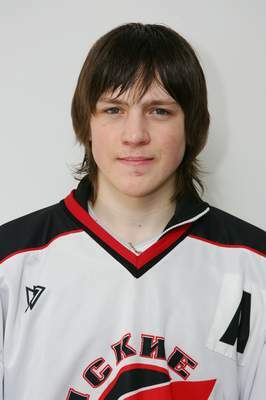 In winger Alexei Cherepanov from Omsk Avangard, the Rangers have applied all four principles. He has dramatic upside. He also has huge exposure for a letdown of Kovalev proportions... or even a meltdown the magnitude of Chernobyl. But it will help that Jaromir Jagr has also skated for Omsk... during the lockout. The mutual respect these athletes have for each other's skill might give Cherepanov the proper foundation for a career on Broadway.